Inspired by the big screen and music icons of the '60s, Oakley Enduro™ Sunglasses are all about replicating the rebel attitude with refinement. The Enduro™ is a comfortably lightweight O Matter® frame with a vintage look courtesy of its smooth, rounded curves, metal accents and carved lines. Inspired by the big screen and music icons of the &apos;60s, Oakley Enduro™ Sunglasses are all about replicating the rebel attitude with refinement. The Enduro™ is a comfortably lightweight O Matter® frame with a vintage look courtesy of its smooth, rounded curves, metal accents and carved lines. Features include the clarity and impact resistance of High Definition Optics® (HDO®) along with the protection of 100% UV filtering, and an Iridium® lens coating that precisely balances light transmission to optimize vision for the environment. 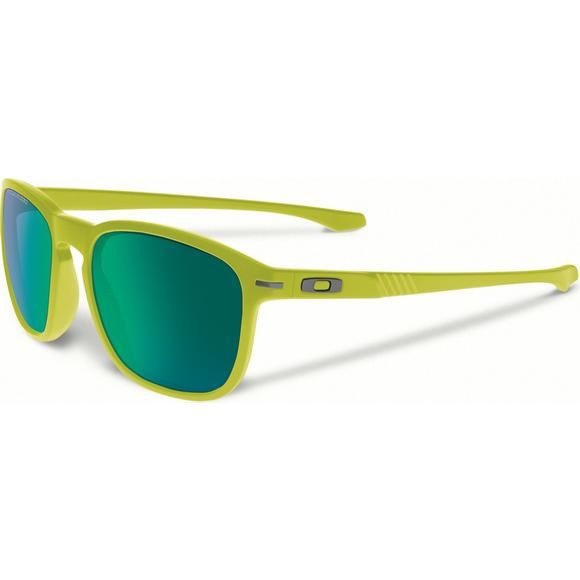 If you want the ultimate in glare-stopping performance, premium Oakley HDPolarized™ lenses block 99% of reflected glare.